Muriel Mari studied Biochemistry and Cell Biology at the University of Nice Sophia-Antipolis, France. In 2002, she obtained my PhD in Cell Biology and Physiology from the same Institution, in the laboratory of Dr. Yannick Lemarchand-Brustel. The research topic was the identification and characterization of new Rab4 effectors and their function in glucose transport. In 2002, she extended her studies in this area by joining as a postdoctoral fellow the laboratory of Prof. David James at the Garvan Institute in Sydney, Australia. There, sheinvestigated the membrane association of the SNARE-regulating protein Munc18c. In 2003 Mari joined the Department of Cell Biology at the University Medical Center Utrecht (The Netherlands) to acquire competencies in advanced electron microscopy methods. There, as a Marie-Curie postdoctoral fellow in the laboratory of Prof. Hans Geuze, she investigated the intracellular trafficking of lysosomal enzyme receptors in mammalian cells. In 2006, Mari joined the group of Prof. Fulvio Reggiori for an additional postdoctoral experience in Utrecht and started working on the molecular mechanism of autophagy using yeast as a model system. 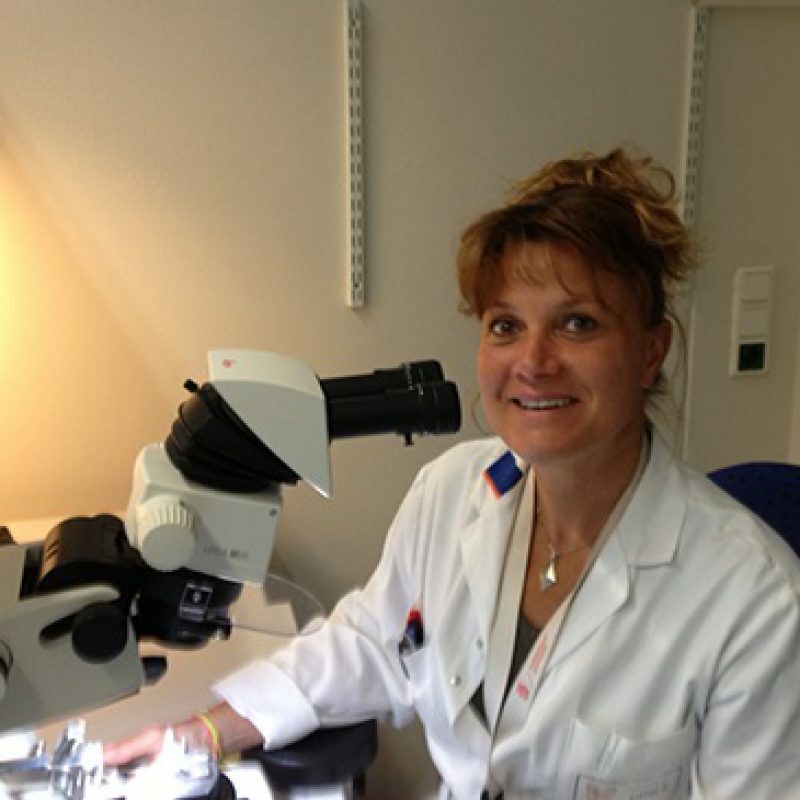 In 2015, Muriel Mari was appointed as an Assistant Professor at the Department of Cell Biology of the University Medical Center Groningen. She is currently studying autophagosome biogenesis in yeast and mammalian cells at the ultrastructural level using techniques such as high-pressure freezing/freeze substitution, electron microscopy, immuno-electron microscopy, electron tomography and correlative light and electron microscopy. Griffith J, Mari M, De Mazière A, Reggiori F (2008). A cryosectioning procedure for the ultrastructural analysis and the immunogold labelling of yeast S. Cerevisiae. Traffic, 9, 1060-1072.